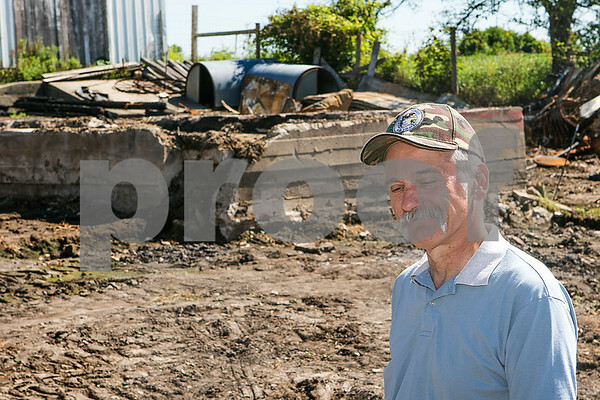 Keith Elliott, a fifth generation farmer from Sycamore, looks down and shrugs while reminiscing about the barn that burnt to the ground on his farm on July 5, standing in front of the charred remains and the foundation on Tuesday, July 21, 2015. Elliott estimates some portions of the barn were as old as 150 years old and his family lost hay for his bison, his tools, and antiques in the blaze. His two miniature horses and four bison were not in the barn at the time.